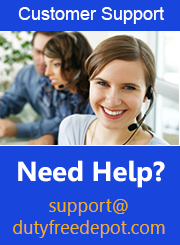 Are you looking for cheap cigarettes of high quality? Well, you have reached the right place! 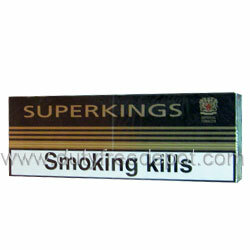 Duty Free Depot, an online tobacco store, offers Superkings cigarettes, a cigarette brand from United Kingdom which is well-known for its strong flavor and full body, at a special price. This is too great an opportunity to miss! Of course, if you prefer other cigarette brands, you can find them at Duty Free Depot, too – the shop offers various types of cigarettes and cigars, it boxes, packets or cartons. All products are sold at ridiculously cheap prices – possibly the cheapest you'll find online. If have been looking for a good quality online store selling tobacco products and accessories – your search is now officially over. Duty Free Depot is a one-stop-shop for everything tobacco related – from cigarettes and cigars to spirits, e-cigarettes and smoking accessories. No matter where you live, you can shop at Duty Free Depot and enjoy worldwide shipping – USA and abroad. In addition, while prices are low to begin with, they can get even lower! The shop occasionally offers special deals and coupons, so it's worth paying the website a visit every once in a while to see whether you can save even more money. Duty Free Depot is the ultimate place to satisfy all your tobacco needs. Besides the cheap prices and top brands you can find on the website, the service the shop offers is highly professional. With a great customer service, and a highly committed and reliable staff – you can be certain that you will get your order in time and in perfect condition – always. Order at Duty Free Depot and your satisfaction is 100% guaranteed.